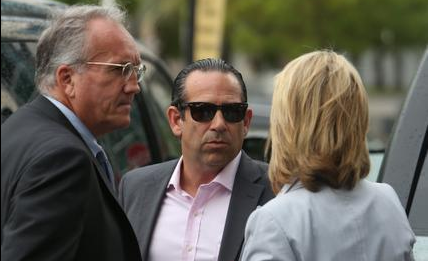 Anthony Bosch, middle, outside federal court in downtown Miami on Wednesday, September 3, 2014 with his attorneys. Bosch will plead guilty in October to charges of selling illegal steroids to professional and high school baseball players. He was suspected of selling and distributing the steroids from his Coral Gables clinic. New York Yankees player Alex "A-Rod" Rodriguez is one of the six defendants in connection with the investigation. Last year, dozens of Major League Baseball players were suspended in connection to the Biogenesis investigation. The number of suspensions made it the biggest doping scandal in baseball history. Bosch's plea agreement states he faces up to 10 years in prison. Bosch agreed to help the Drug Enforcement Administration and U.S. Attorney's office with the investigation, which may lessen his sentence. Read the full story on MiamiHerald.com. On The Florida Roundup: From the ball fields of South Dade to Yankee Stadium, Alex Rodriguez fights to stay in baseball. Major League Baseball suspended him for more than a season for using performance-enhancing drugs. We speak to Julie Brown of the Miami Herald about the Coral Gables anti-aging clinic, Biogenesis, that is at the center of the MLB scandal. Also joining us will be Tim Elfrink of the Miami New Times, who broke the story about the clinic, which supplied drugs to not just MLB players but also college and high school athletes as well. 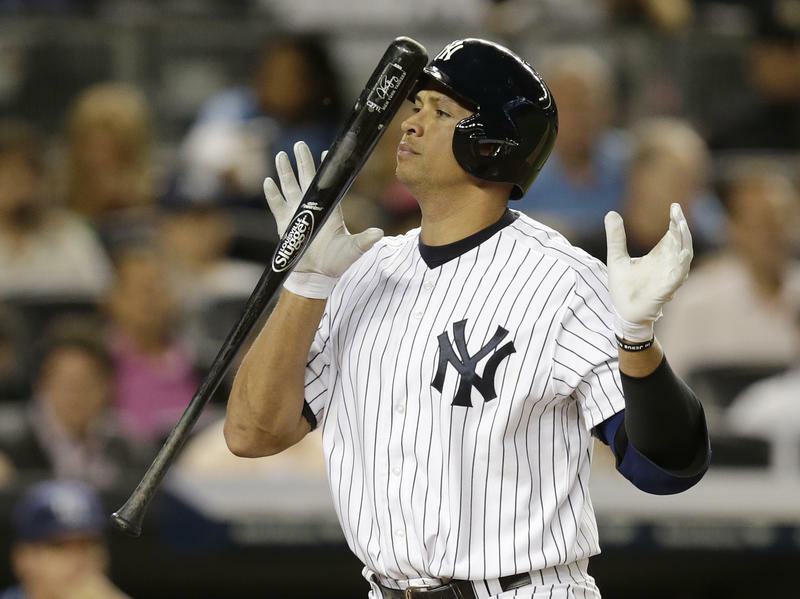 Major League baseball, this week, sanctioned a number of players, including New York Yankee Alex Rodriguez. They're accused of receiving performance enhancing drugs from a Miami clinic called Biogenesis. New York Yankees superstar Alex Rodriguez had his professional legacy altered forever when he admitted to using performance-enhancing drugs four years ago. Now, A-Rod is fighting even more severe accusations as his philanthropic legacy in Miami hangs in the balance. The famous ballplayer is currently appealing his 211-game suspension from Major League Baseball. The scandal has prompted locals to ask whether the local organizations he has supported will distance themselves from him.